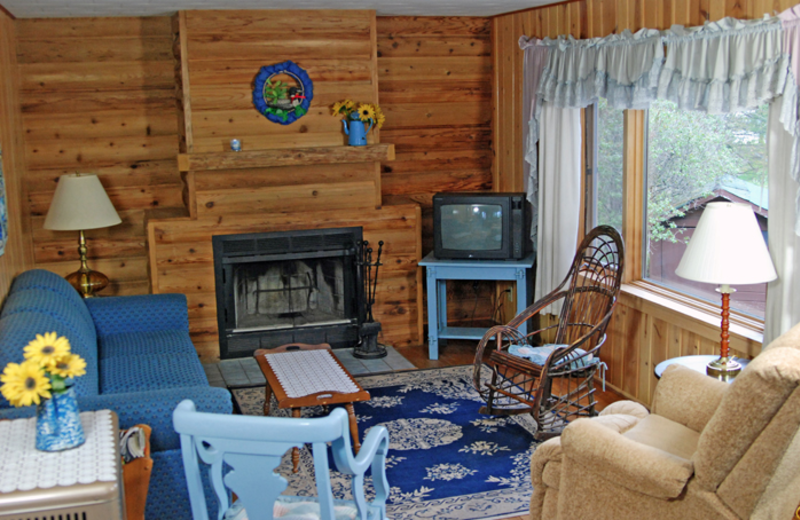 Located on 175 acres of secluded woods, Northland Lodge offers your vacation stay with adventure and solitude. 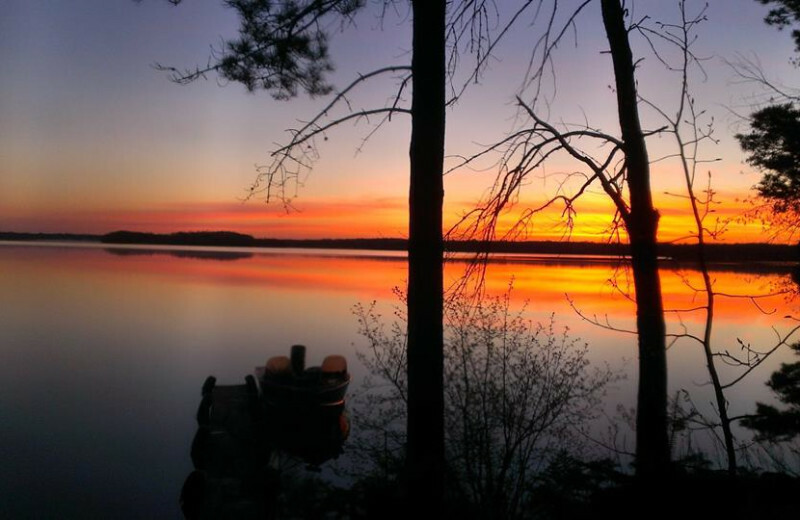 With the tranquility of Wisconsin's Quiet Lakes and the seclusion of the property located in the heart of Chequamegon National Forest, Northland Lodge is a picturesque retreat combining the nostalgia of yesteryear with the comfort of modern amenities. Take a boat ride over to an 18-hole golf course, hike a private nature trail, or lounge around and go for a swim in the lake. 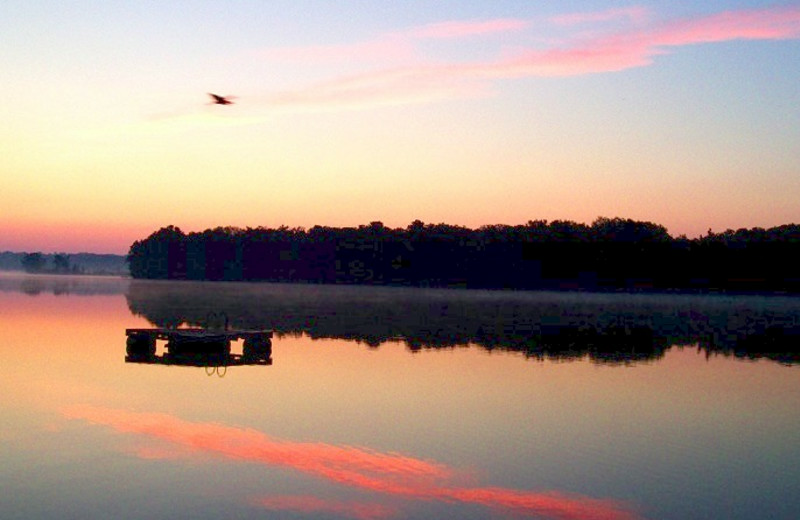 The lake has a 10 mph speed limit so the tranquility makes your getaway one-of-a-kind. Northland Lodge's log homes have full kitchens, grills and screened porches, creating a home away from home you won't soon forget! 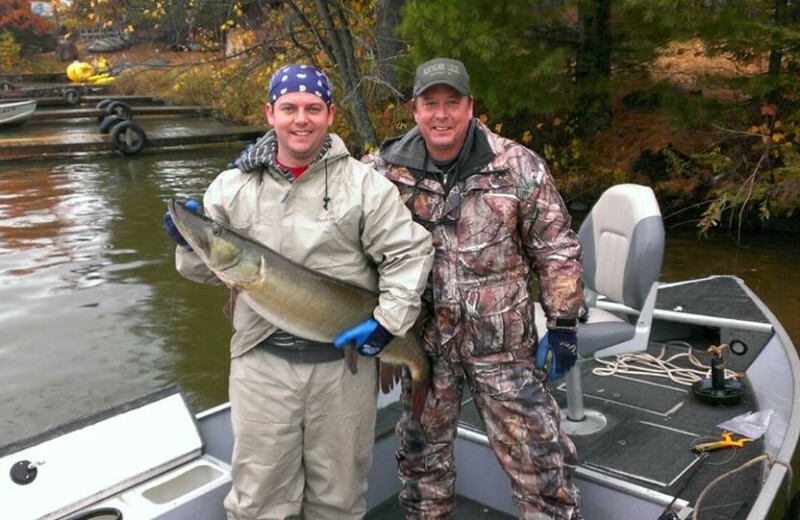 For your next Wisconsin vacation, stay Northland Lodge! 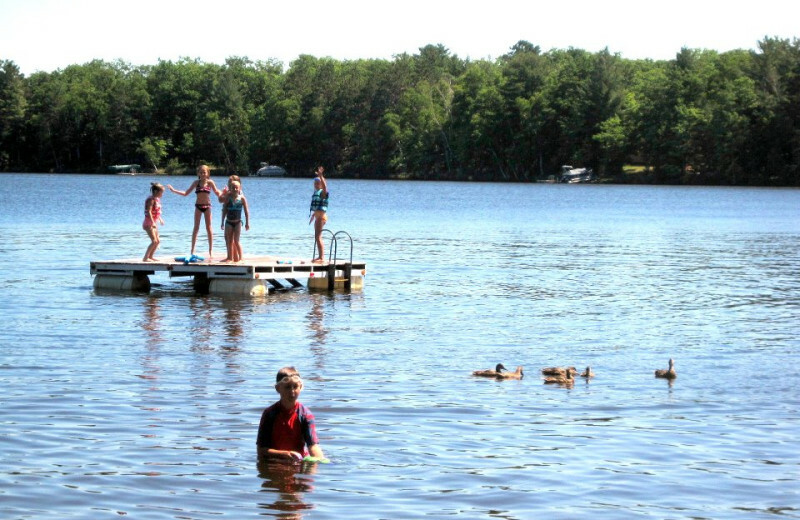 Located on the shore of Lost Land Lake, Northland Lodge offers you a truly peaceful Wisconsin beach vacation. Here, you'll find their cozy cabins just steps away from the beach so you don't have to waste any time getting to the water. 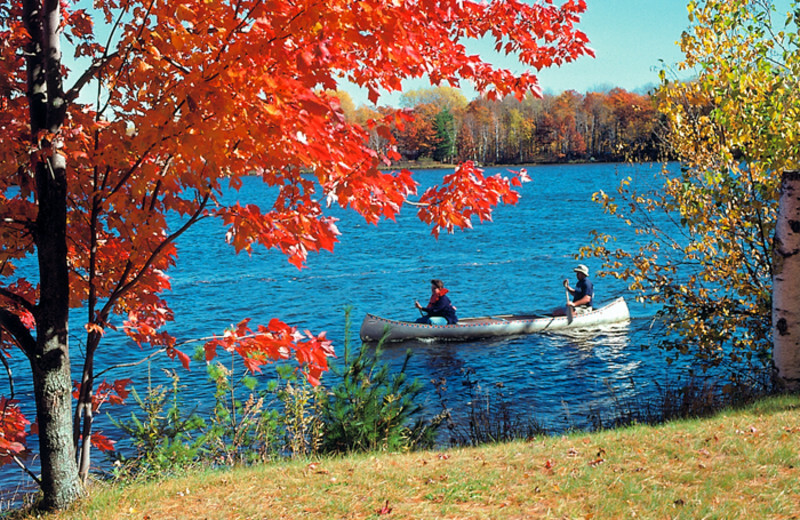 Indulge in fun activities from fishing to kayaking to paddle-boating! 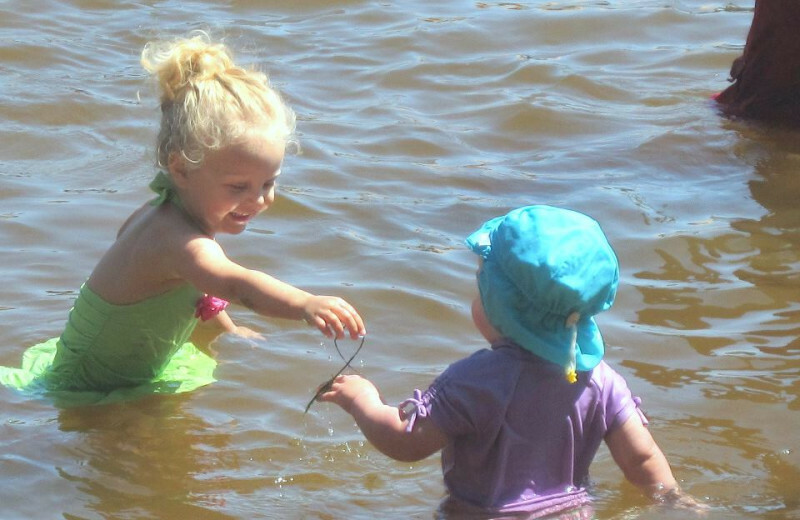 The lodge offers a toddlers' pond for the kids, plus slides and swim rafts! Where else can your family enjoy land or water volleyball, singalongs and talent shows, and even more activities offsite? 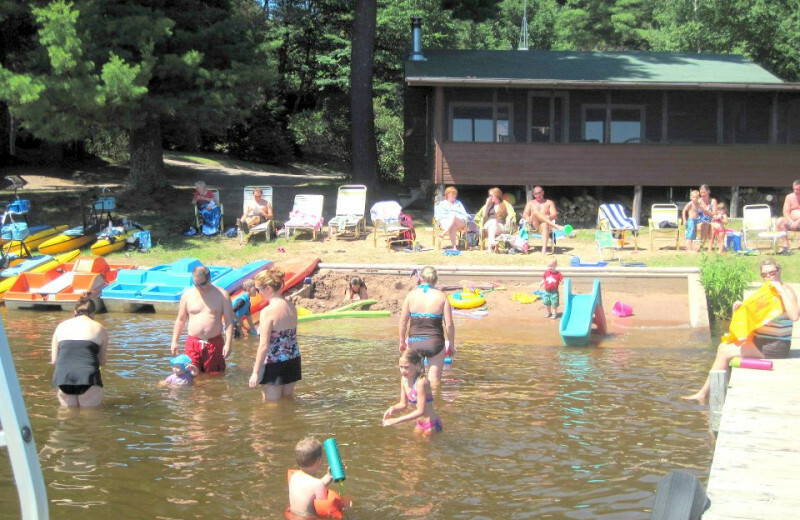 Northland Lodge is family-owned & operated with comfortable Hayward Lakes lodging and a full range of amenities to keep you coming back year after year for Wisconsin family vacations. 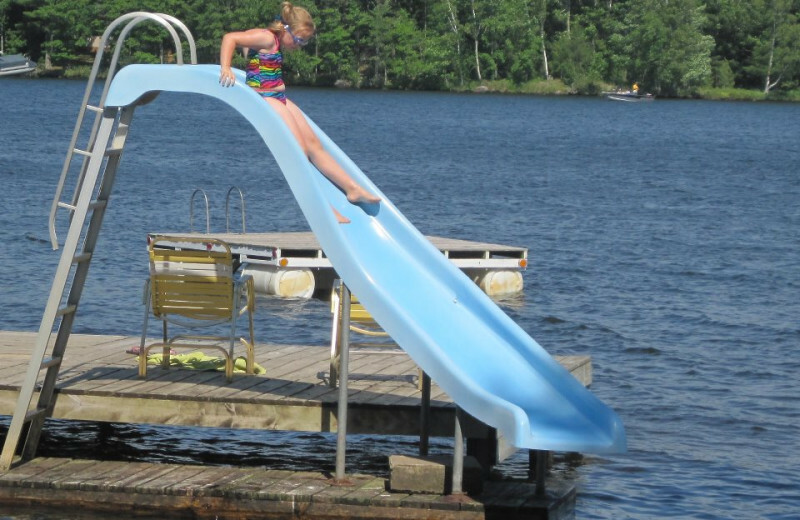 The kids will love the slides and swim rafts out on Lost Land Lake, and the adults will enjoy the refreshing, outdoor atmosphere! 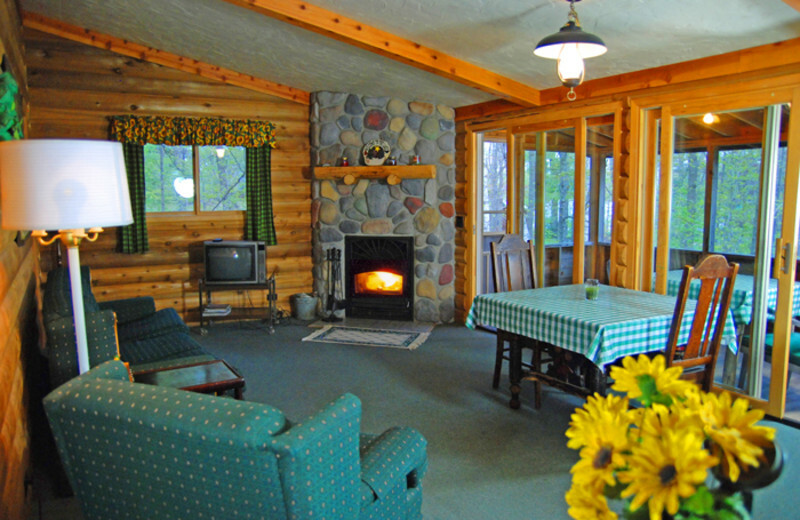 Northland Lodge offers charming cedar log cabins to accommodate your family get together during your Wisconsin Family Reunion, creating life-long memories for the whole family! 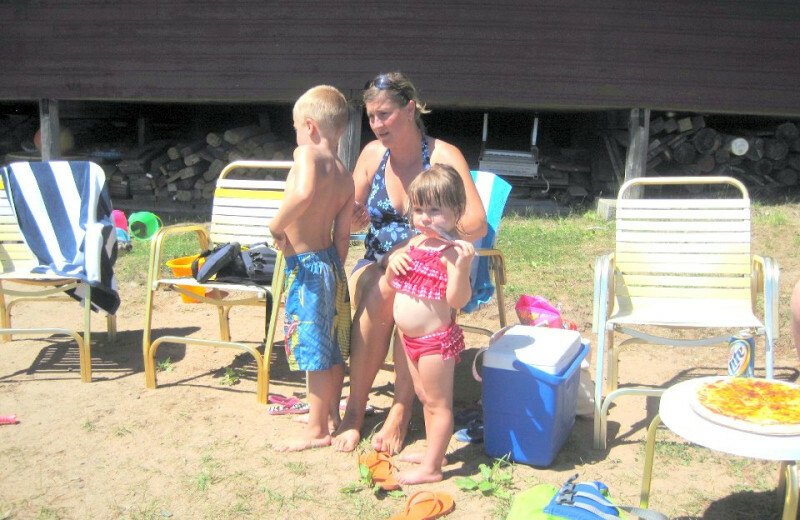 Northland Lodge has fun activities for the entire family including a sing along/talent show. 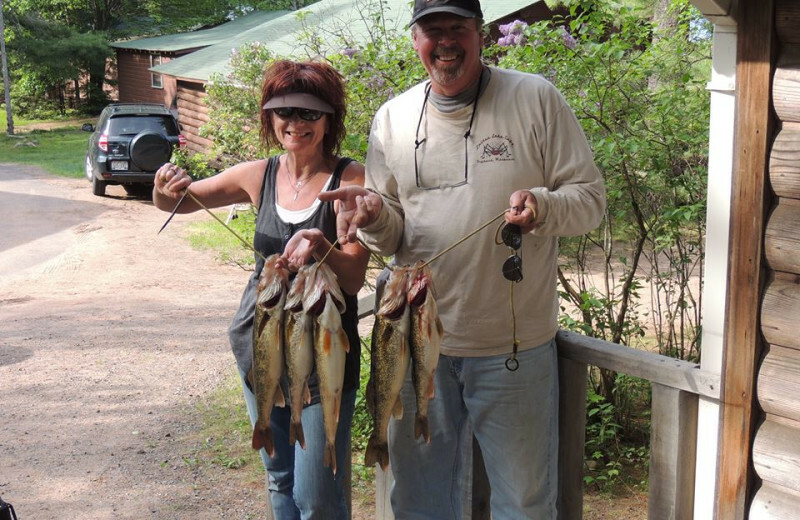 Bring your loved ones together at Northland Lodge! 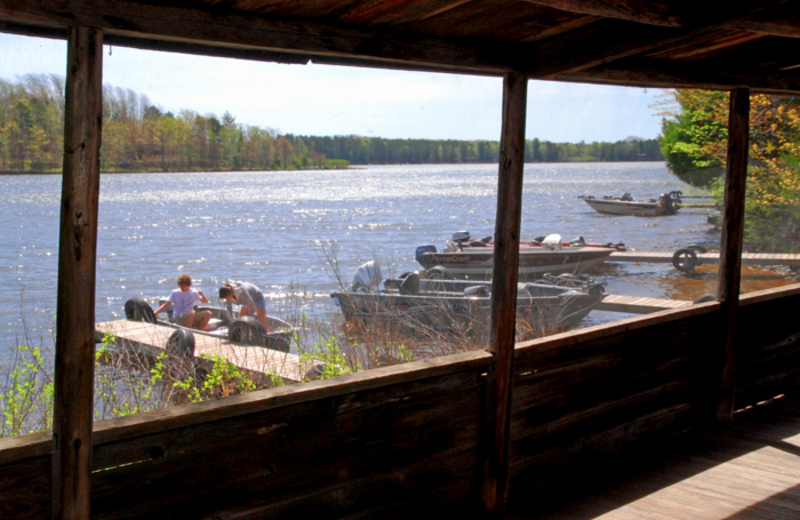 Secluded in the Chequamegon National Forest, Northland Lodge is close to exciting Hayward activities, yet the location is quiet and out of the way. 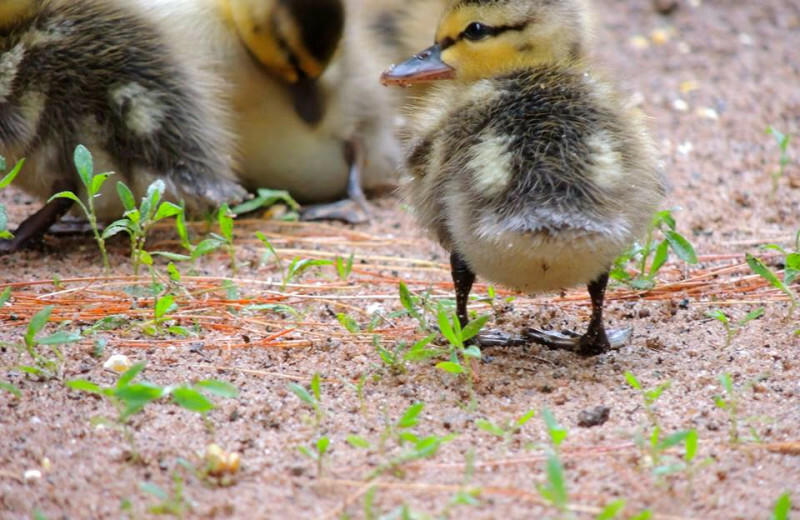 Walk the private nature trail watching for deer, owls, fox and other wildlife. 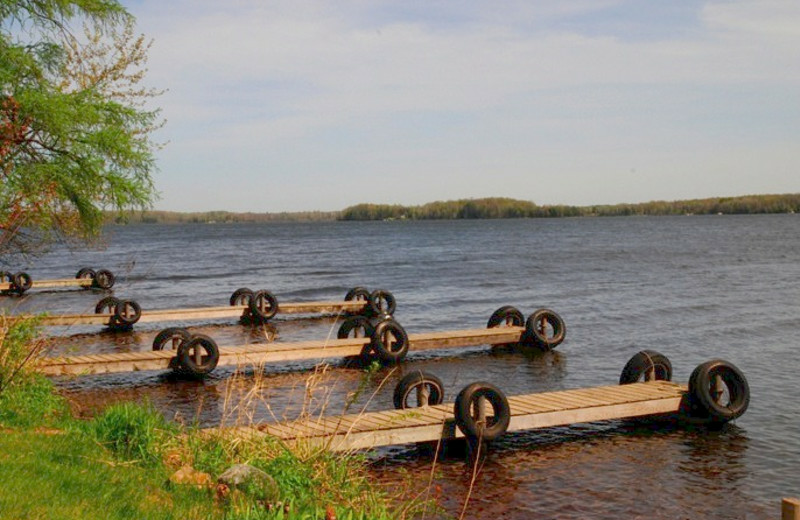 Take a pontoon to McNott's Island or simply enjoy the Quiet Lakes' tranquility. 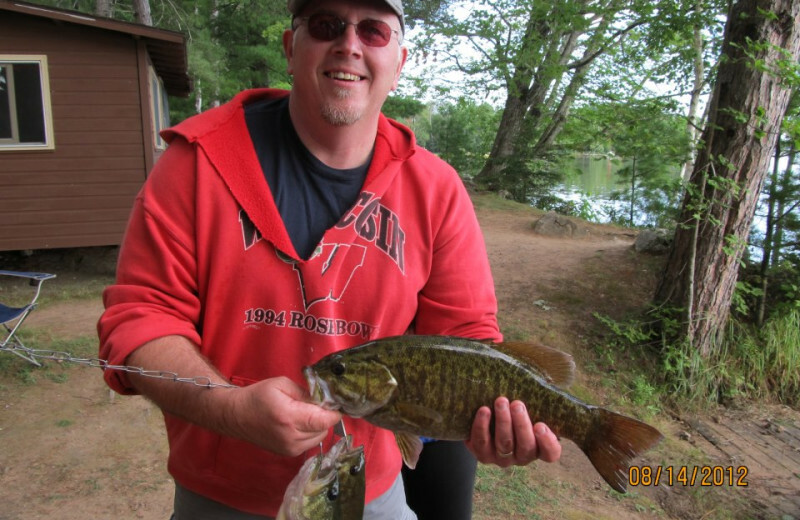 Northland Lodge has fishing pontoons and plenty of fishing rigs to get you out on the quiet waters of Lost Land Lake and Teal Lake - a paradise for Wisconsin fishing. 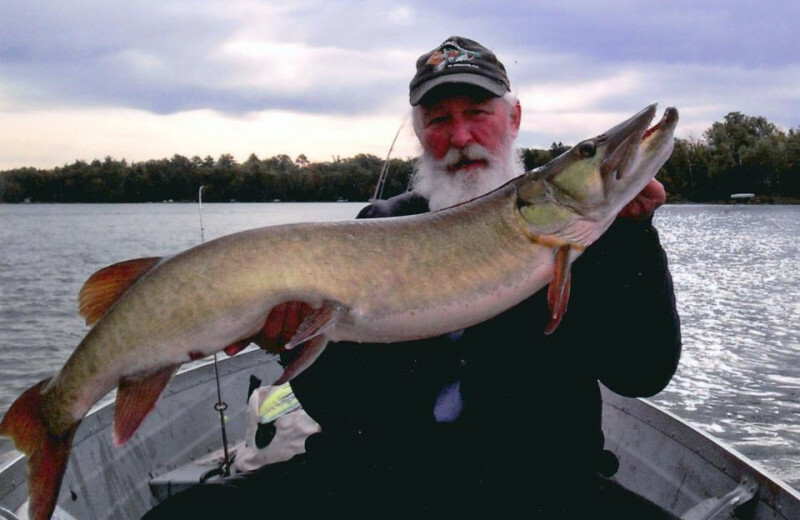 The Quiet Lakes, as they're called, are Class A muskie waters, and home to favorites like walleye, bass, crappie, northern and panfish. 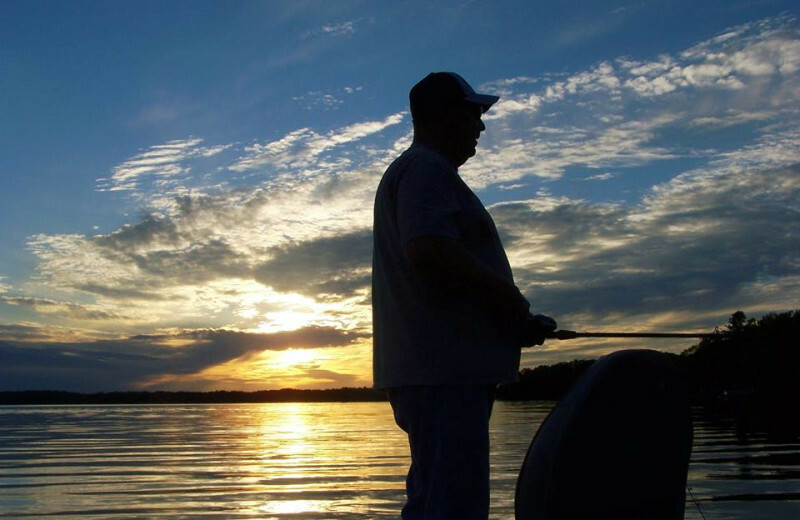 It's the perfect place for solo fishing excursions, or for bringing the kids out for their first fishing trip! 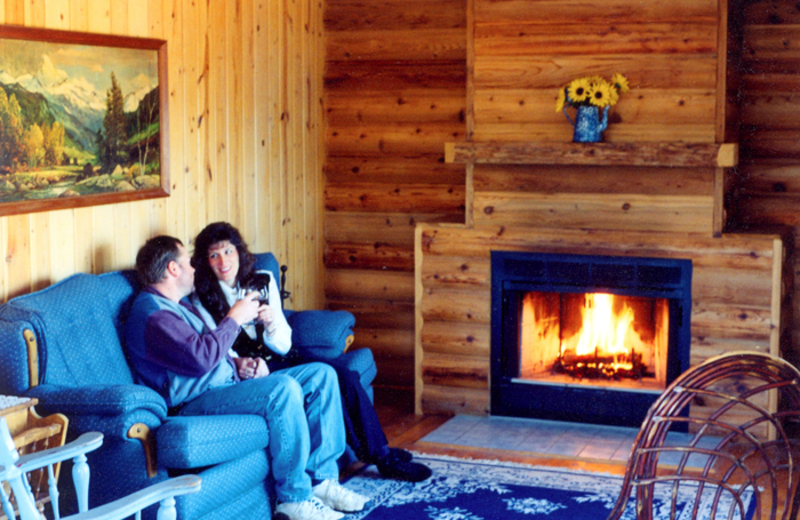 Cozy cabins, perfect for a Hayward romantic getaway, await you at Northland Lodge. Discover the Quiet Lakes, where you and your significant other can watch and listen to area birds, enjoy serene lake views or relax in front of a glowing fireplace. Ask about Hayward romantic getaway packages! It's hard to go on vacation when you have to leave your favorite pet behind. But at Northland Lodge you don't have to worry! 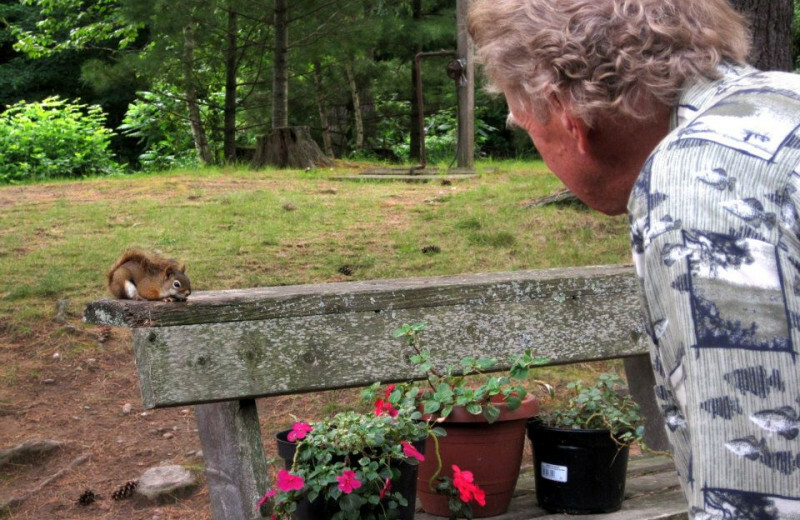 This Wisconsin destination is pet-friendly so no member of the family needs to stay back. 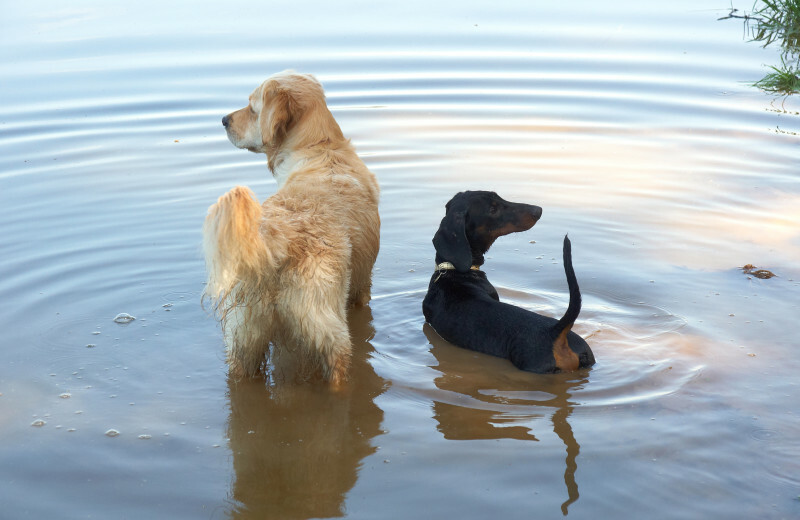 Bring along your four-legged companion and enjoy going out on nature hikes and more! Book today! Resting on the shores of Lost Land Lake, Northland Lodge has an incredible swimming area with spring-fed water and a sandy bottom. Two sundecks are ideal for enjoying the peace and quiet. 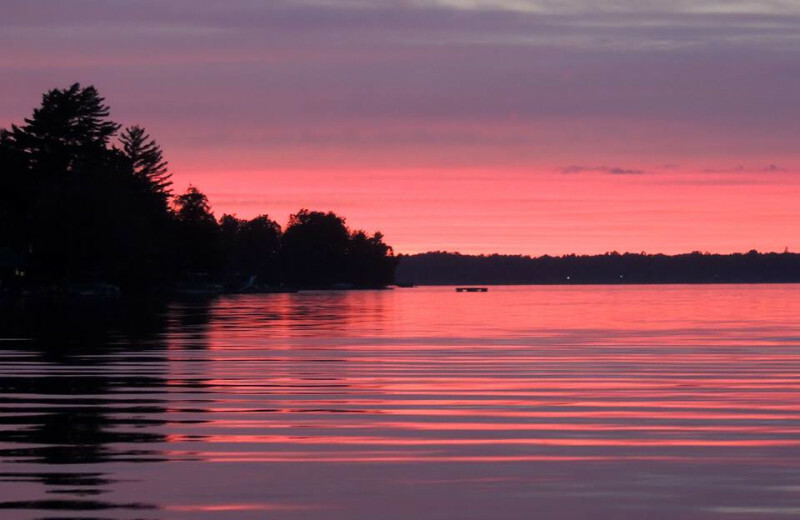 The headwaters of Chippewa Flowage, Lost Land Lake and Teal Lake make up Hayward's scenic Quiet Lakes. Book your trip today! 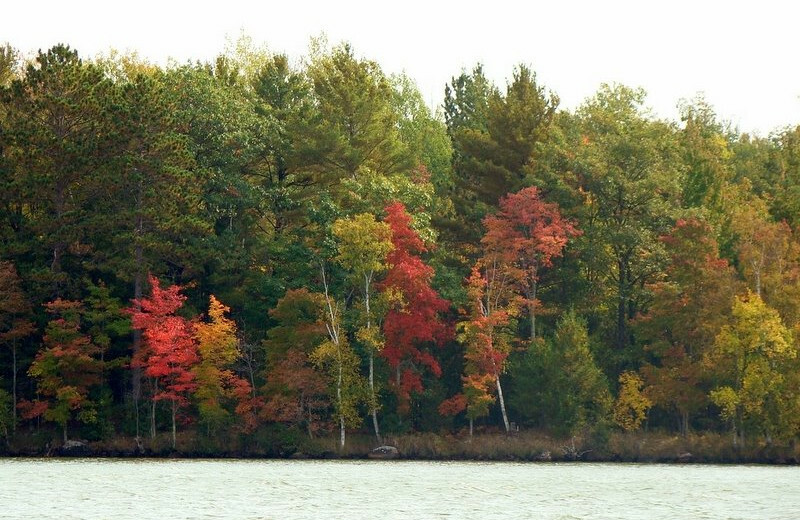 Leave the world of smartphones behind and head to Wisconsin for a truly enjoyable vacation. 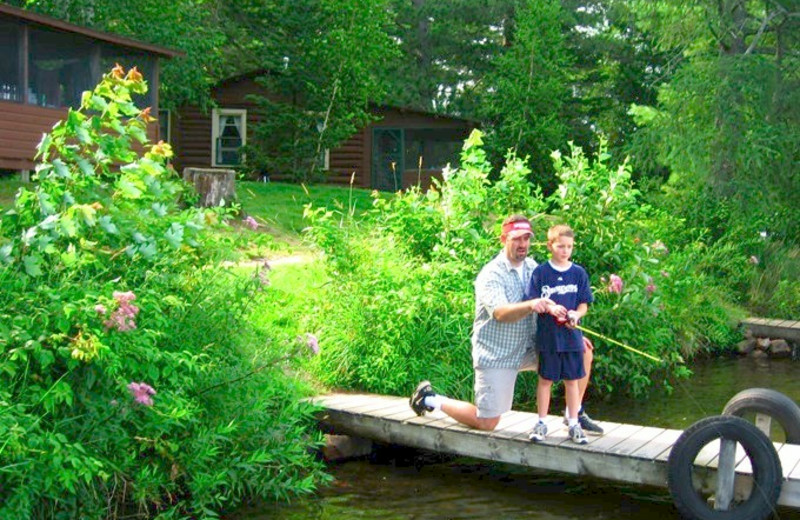 With the tranquility of Wisconsin's Quiet Lakes and the seclusion of the property located in the heart of Chequamegon National Forest, Northland Lodge is a picturesque retreat combining the nostalgia of yesteryear with the comfort of modern amenities. Book your retreat today! 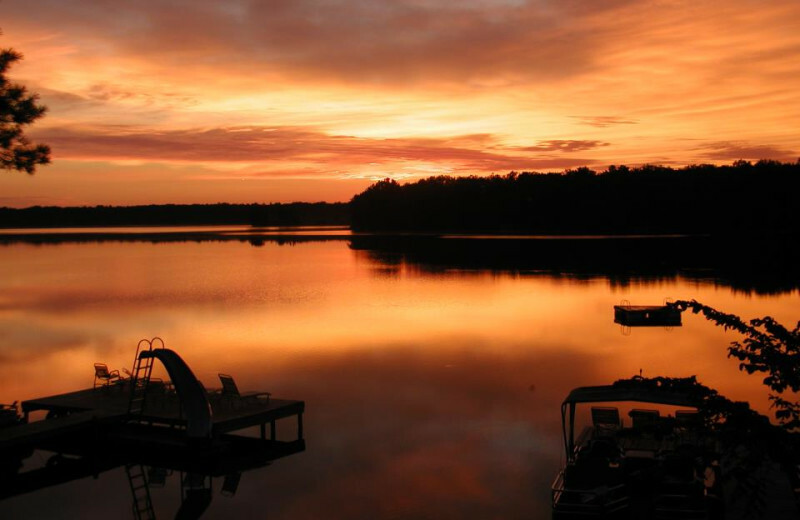 From the cozy cabins to the tranquility of the Quiet Lakes, Northland Lodge creates the perfect setting for your Wisconsin honeymoon. 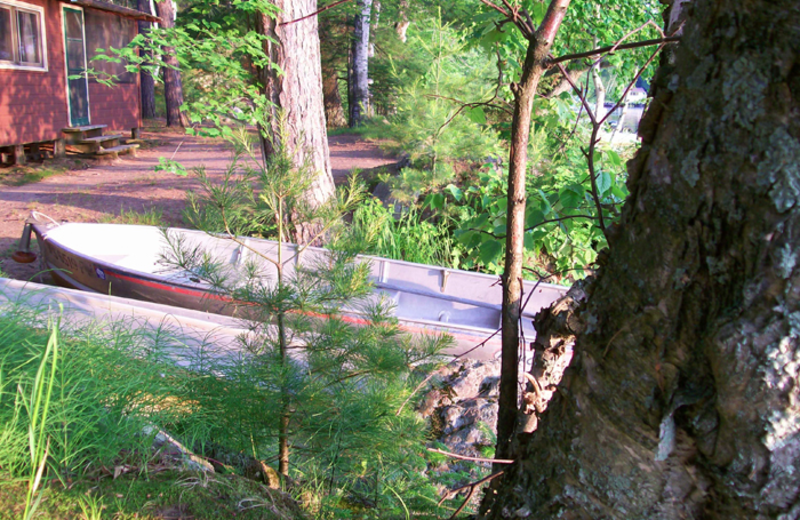 Here, you and your spouse will discover a stunning natural environment along the Chequamegon National Forest. 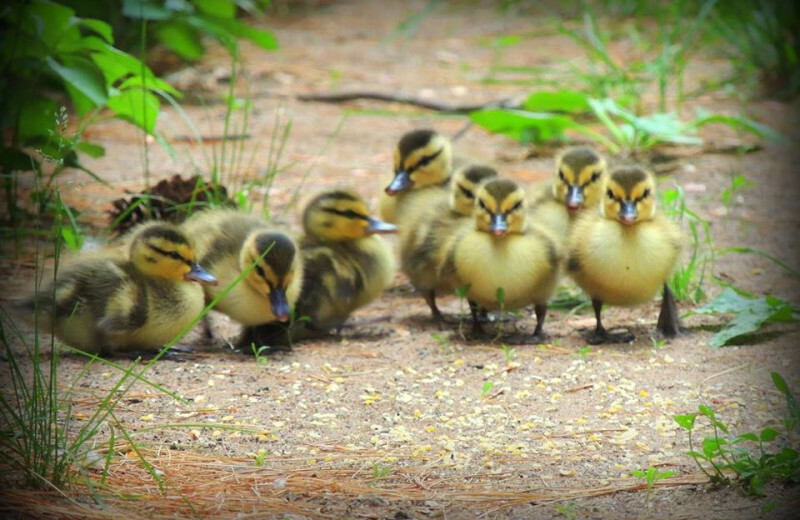 Explore the area on a nature walk, spend a day kayaking on the lakes, and much more! 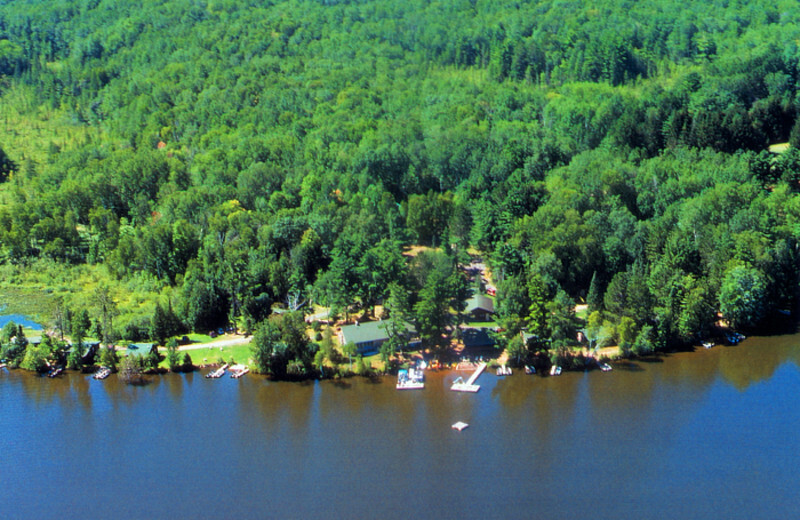 Northland Lodge features a variety of luxurious two, three, and four bedroom cottages, making their resort perfect for groups of all sizes. Cabins feature fireplaces, screened porches, and full kitchens for your added comfort. With one of these cabins, you'll truly find a home away from home. Book your trip today! 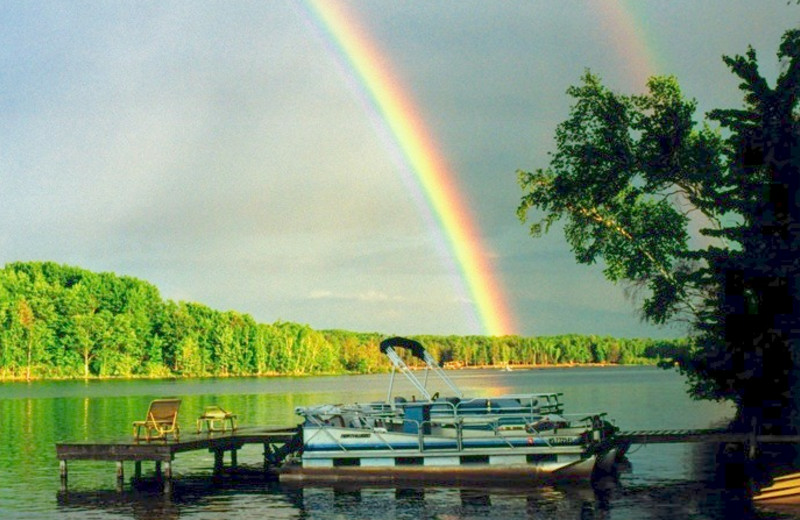 A cabin in Wisconsin is the perfect way to spend those long summer weekends. 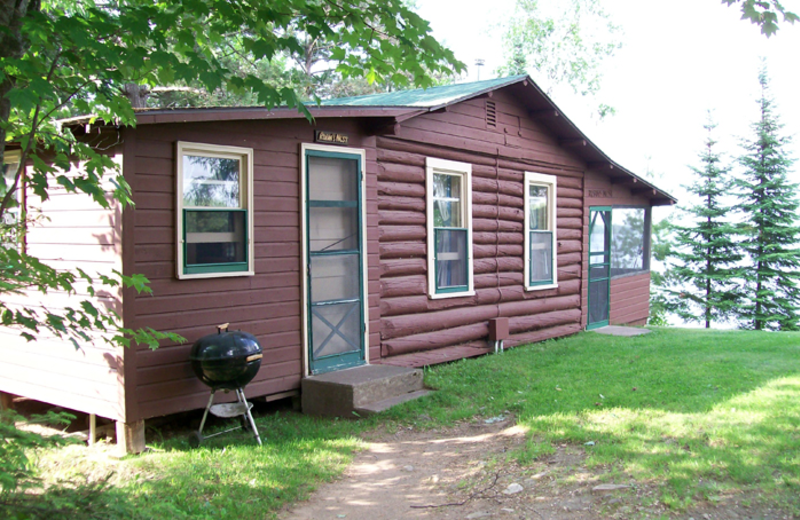 For the Fourth of July, Memorial or Labor Day, head to the Northland Lodge! 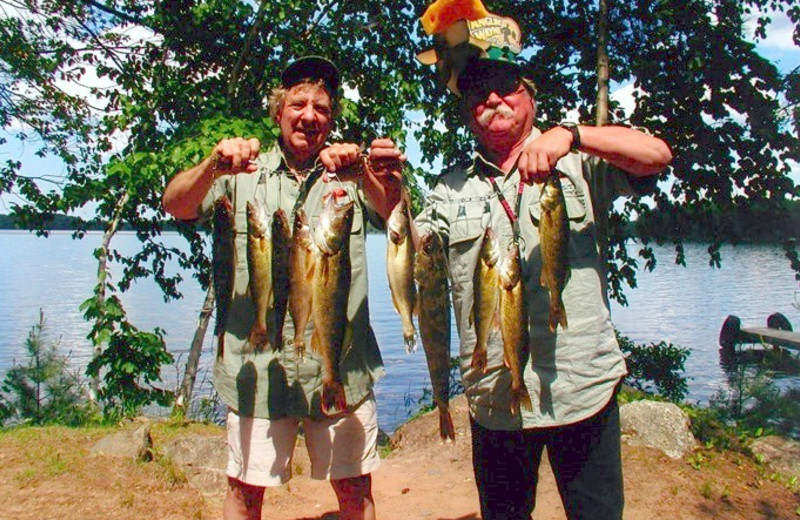 With the tranquility of Wisconsin's Quiet Lakes and the seclusion of the property located in the heart of Chequamegon National Forest, you are your group will be surrounded by fun activities! 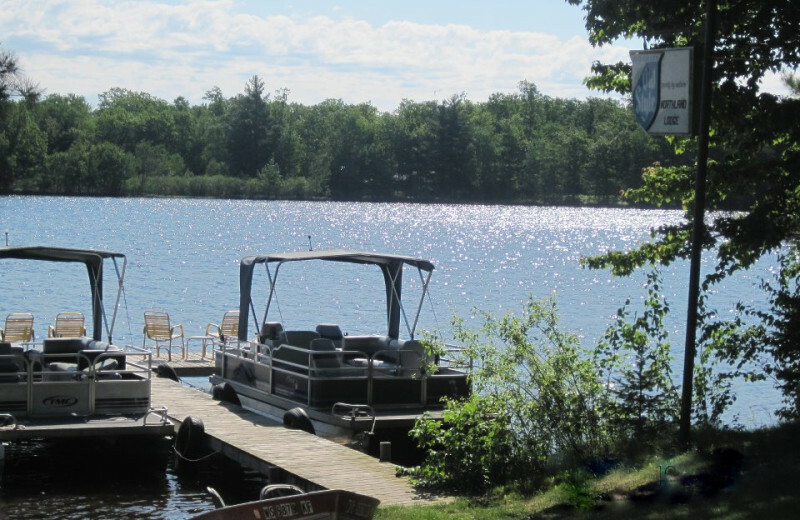 Northland Lodge features a variety of luxurious two, three, and four bedroom cottages, making their resort perfect for groups of all sizes. Cabins feature fireplaces, screened porches, and full kitchens for your added comfort. 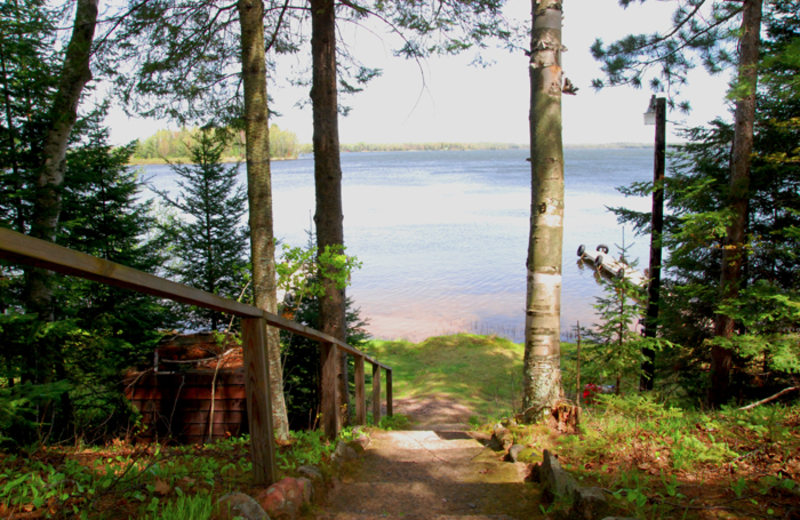 This property is ranked number 2 on Top Wisconsin Cabin Getaways. Read about it here.